I am a 25 year old man who currently is living in Dublin. At the moment I am working as a break-fix technician/web developer at IBMs support office in Ballycoolin but I am looking for a new opportunity to develop my own career. I have worked for IBM for exactly two years today and I feel like I am not being allowed to proceed forward the way I want to inside of the company so I am looking for other ways to do it. What is my preferred working location? Does not matter. I have moved to a new country once and I can do it again. Give me the right job and I will move without hesitating. First of all you do want a normal guy that is easy to work with. That is me. 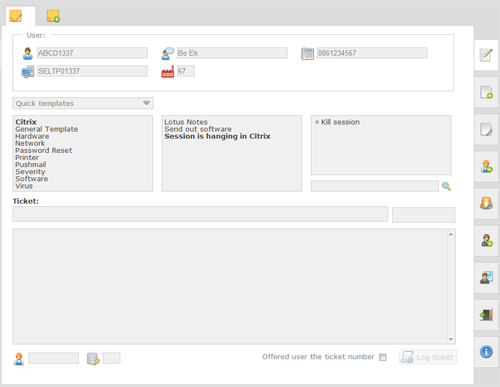 My current project at work is a ticket template tool for the helpdesk that are sitting beneath me. Since they send a lot of plain stupid tickets without vital information I got tired of having to send feedback and complain about them not doing their job correctly so I started the development of this tool instead. What it does is that when the users calls in the agents logs their information in the top of the page, and after that they select a template for what the problem is. They follow the instructions and then they are allowed to send the on if it still does not work. The page is built up of a MySQL database from where I get the information using PHP. To present the information I then run several Ajax requests using jQuery to get the data from the PHP script and on to the webpage. 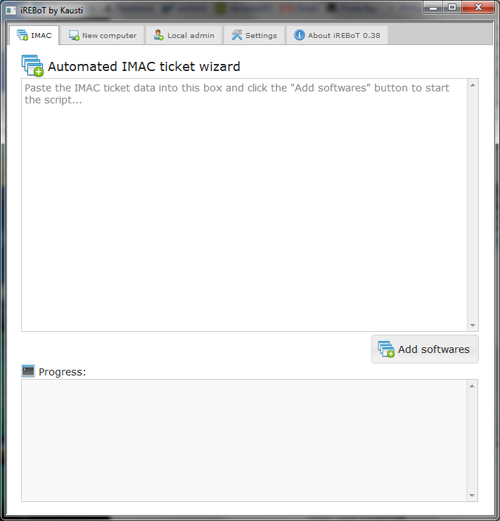 It also has a built in function for logging the tickets automatically in IBMs (really old) system via VBScript, so therefore the script is almost only used in Internet Explorer when run at work. But everything should work just fine in any browser, even though I really did not get enough time to perfect the design of everything the entire functionality should be running just fine. , I have of course implemented a function to link to songs on Spotify and I have overall tried to make the experience of visiting my blog as easy as possible. I also have a fully working content management system running in the background where previews of the posts can be done before actually posting them, where you can add BBCode to the text and I also have implemented a script for uploading images without having to reload the page. A demo of how to upload images can be found here: demo. I also have implemented a script for sending MMS from my mobile phone directly to the blog. It took me forever and the end result can be viewed under the category MMS. Of course I am willing to demonstrate anything you might want to see when we meet. Almost everything here is made from scratch so just ask me what you would like to know more about and I will explain it to you and also show you the code behind it. A homepage I made for a friend who just wanted a small webpage where he could arrange bookings for his company that sells Liverpool tickets. I got like 50 euros for the page and I was just glad to get the whole thing done as fast as I did. Well, the page is just basically a really simple PHP script where the users can send emails to the company and from there on they (my friend) handles the bookings via email. The pages are switched using jQuery for the slide effect and that is about it. No database, no nothing. It did not take me long to do it but he was more than happy with it, and what is it you say? ”The customer is always right”. My start page was made since I wanted a page that automatically collected all the information I usually check when I start up the computer in the mornings. It fetches swedish TV-programs by loading a php-file with jQuery that fetches the program information from a supplier, saves the new program data in a database and then displays it. 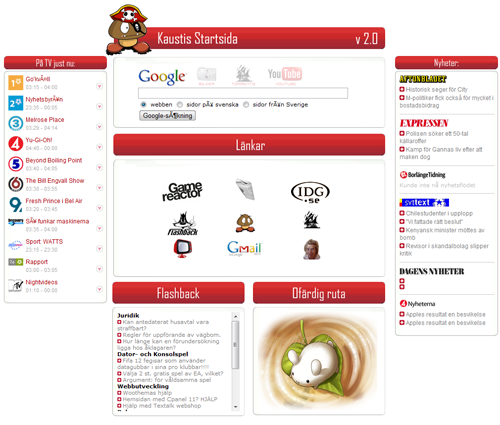 The start page also reads a RSS flow from a swedish forum and some news from my favorite newspapers and then displays it. One of my latest creations is a .hta-script that made it possible to automate about 20-30% of my work load at IBM. The script can read information from a copied ticket, sort that information, create a computer in Active Directory, add the computer as a member of software groups in Active Directory if needed and then automatically send the user an email from our group mail in Lotus Notes telling the onsite support that his new computer is created and that they can go out to the customer and setup the computer for him. The only thing we need to do now is copy the whole ticket, paste it in the textarea, press the button and wait for 2-3 seconds and then it is done. It used to take about 4-5 minutes to do it manually. A demo of iREBoT with a slightly modified source code is available for testing, even though you are only going to be able to try the local admin part of the script. 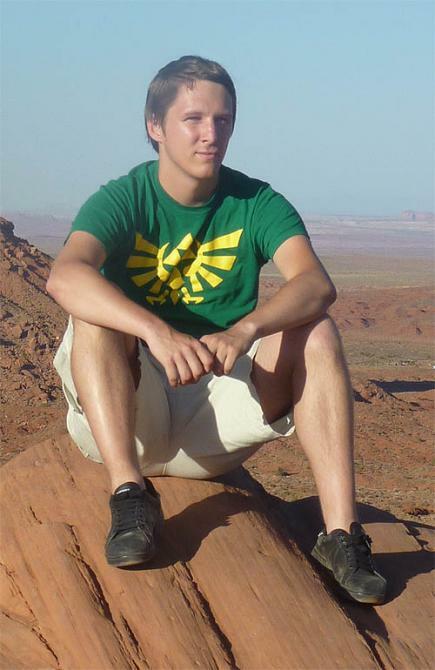 A small vbs-script that checks how much money you have left on your bank account. Put in your PAC and your last four digits of the phone number registered with AIB and it checks it automatically. It basically logs in to AIBs personal banking page, reads the transaction token, logs you in, reads the new transaction token, reads what digits is needed, gets those from the PAC you put in and then logs you in, gets the balance from your first account and the presents it. I just did it so that I could learn how to login and read information from a webpage since I will use that in another project at work later on. The code for the script can be found here. I work part time as responsible for maintaining the intranet pages on IBMs private network for the office in Ballycoolin. It has mostly come to evolve around tasks like creating new users for different pages, errortracking when pages do not work as they should and not so much towards developing the pages. I also have been creating a couple of VBScripts to automate a couple of tasks at work recently. As a break fix technician I work with solving the problems that the first line support can not solve. It can be everything from problems with Access databases and Active Directory related issues to users having problems with accessing their own mailbox. Pushmail seems to be the new thing nowdays so I get to solve a lot of tickets regarding that as well. I did almost everything you can do there. I was a quality analyst that made sure that the quality of the tickets was maintained at a high level, I trained newhires and helped get the started with their new job, I was a backup dispatcher who dispatched tickets to the agents based on their skill and I also took a lot of calls during my time there. The problems users had there was the same as I solve today but there was a lot more password resets and we had to average a talk time of 7 minutes per call which made it hard to solve the really hard problems. If we did not have the time to do that we sent the tickets to the second line support and they would handle it. Basic introduction to xHTML, CSS, typography, usability, navigation and other small things related to web development. We got to learn how communication between humans works, how a group is affected when people has trouble working together, how to solve disputes within a group and other soft skills like how to give feedback. We learned how to analyze a data flow in a company, to understand that a model of a company never can be perfect but the target is to get it as close to perfect as possible. We got to learn how to structure a information system before starting the construction of it. The more planning before starting to build it the more likely the project is to be successful. Basic introduction to Adobe Photoshop, how colors cooperate, introduction to using Adobe Dreamweaver and how to create simple Flash banners. images/CV/small_business.png' title='So... Do we have a deal?' class='voteSmilie' alt='Agree' style="margin-bottom: -2px;"/> So you think I seem interesting? ]Exciting!